It is possible to correct poorly performed or older hair transplants. Performing female hair transplants is extremely gratifying. Paul is incredibly pleased with the results of his hair transplant. 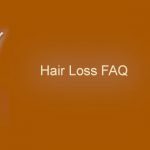 Dr. Vogel discusses his approach to hair restoration.